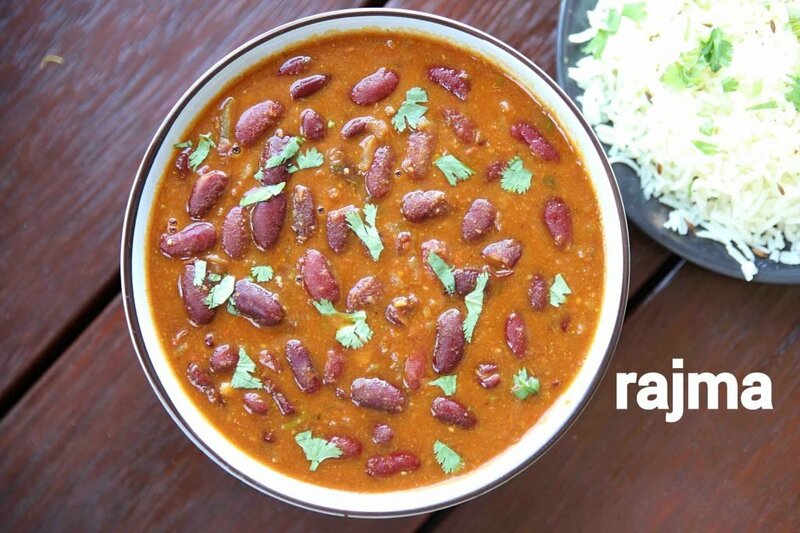 rajma recipe | rajma masala | rajma curry | punjabi rajma recipe with detailed photo and video recipe. a popular north indian or punjabi curry recipe made with kidney beans and indian spices. the combination of rajma and chawal which is also known as rajma chawal is the staple food of many north indians. 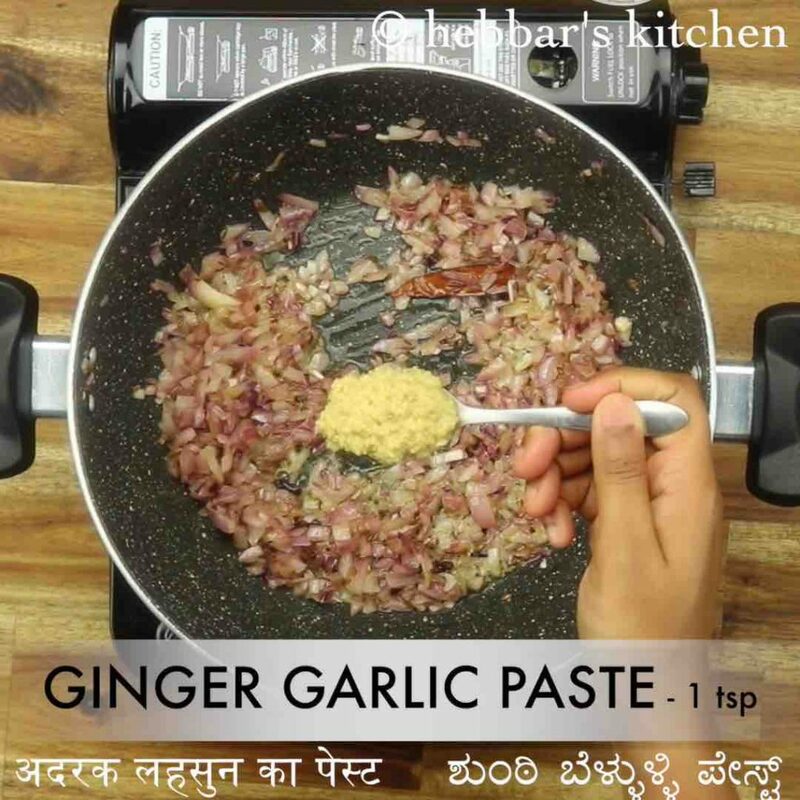 it forms a semi-thick gravy which can also be served with jeera rice or even which choice of indian breads like roti or chapati. 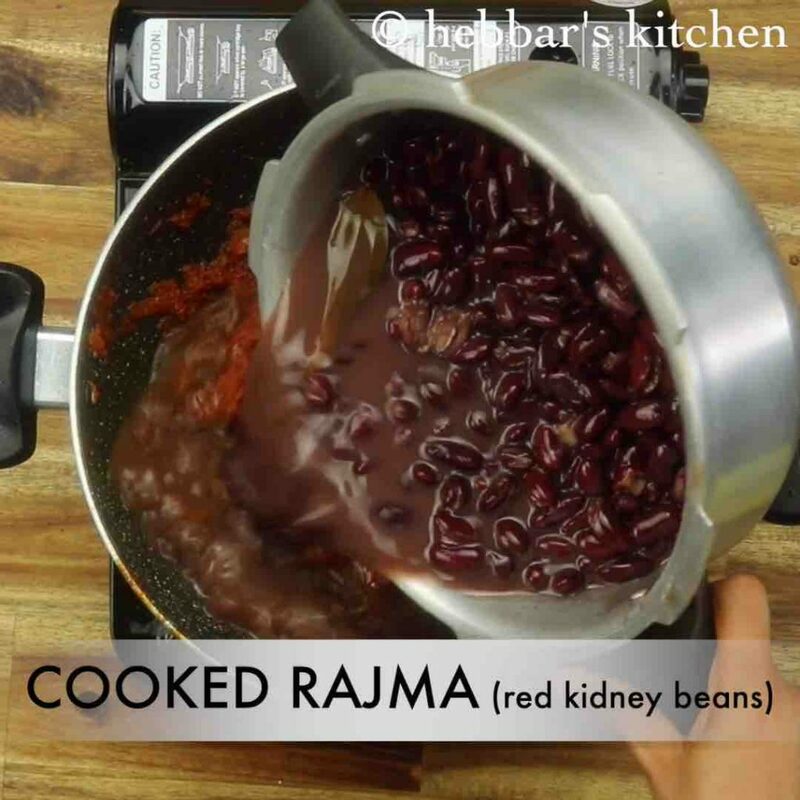 rajma recipe | rajma masala | rajma curry | punjabi rajma recipe with step by step photo and video recipe. 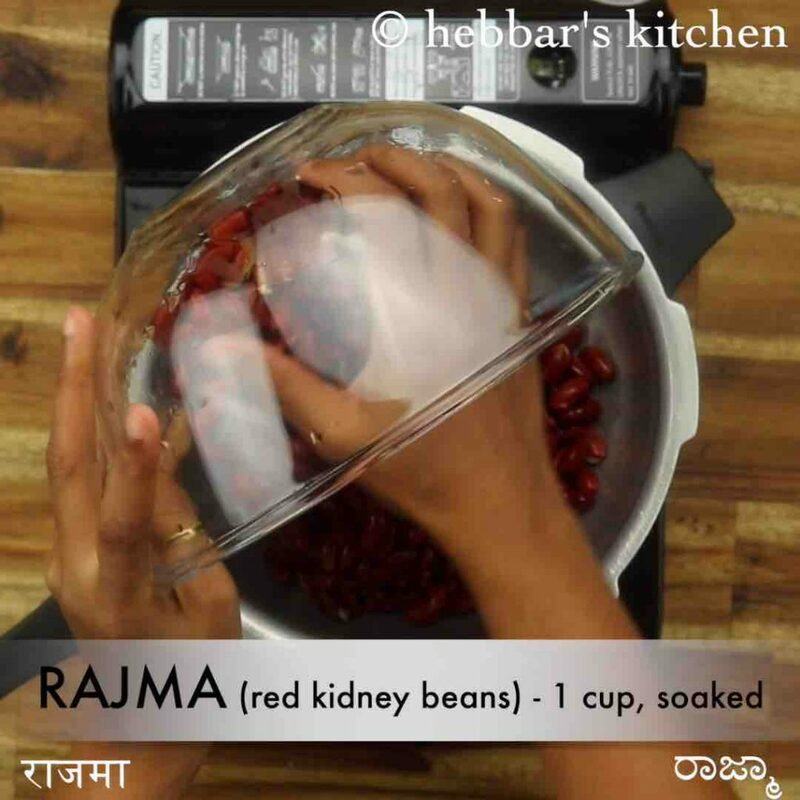 there are many ways to make the popular rajma masala. but the punjabi version of rajma curry is super popular and has been embraced by other regional cuisines. further, it is also appreciated because of the abundant supply of protein which makes it a complete meal when served with rice which is a source of carbohydrates. as i mentioned in my previous posts, i prefer to have roti and sabzi for my dinner and i avoid to have rice for my dinner. even though my husband craves for rice-based dishes for his lunch and dinner, i try to avoid it as much as possible and reduce the intake of carbs for dinner. but i personally like to make this rajma masala or rajma curry for dinner because it is multipurpose. basically, i can serve the curry with roti or chapati for the dinner. and any leftover rajma recipe can be mixed with rice and can be served for lunch. thus making the perfect option for lunch and dinner. but i personally like the combination of rajma chawal compared to roti’s but still a convincing option. 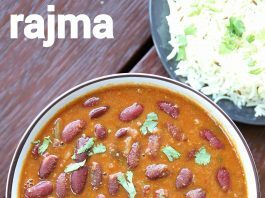 the rajma recipe is straight forward to cook, yet some tips, suggestions and variations to make perfect rajma masala. firstly, i heavily recommend soaking the rajma overnight before pressure cooking till it softens. you can hasten the cooking procedure by using canned kidney beans but would not recommend it for the obvious reasons. secondly, there are different types of rajma seeds available in the market, but i would recommend using red coloured beans. typically it much easy and faster to cook and easily turns soft. lastly for a creamy curry, once the rajma is cooked, mash few beans with the spoon to have a thick curry base. 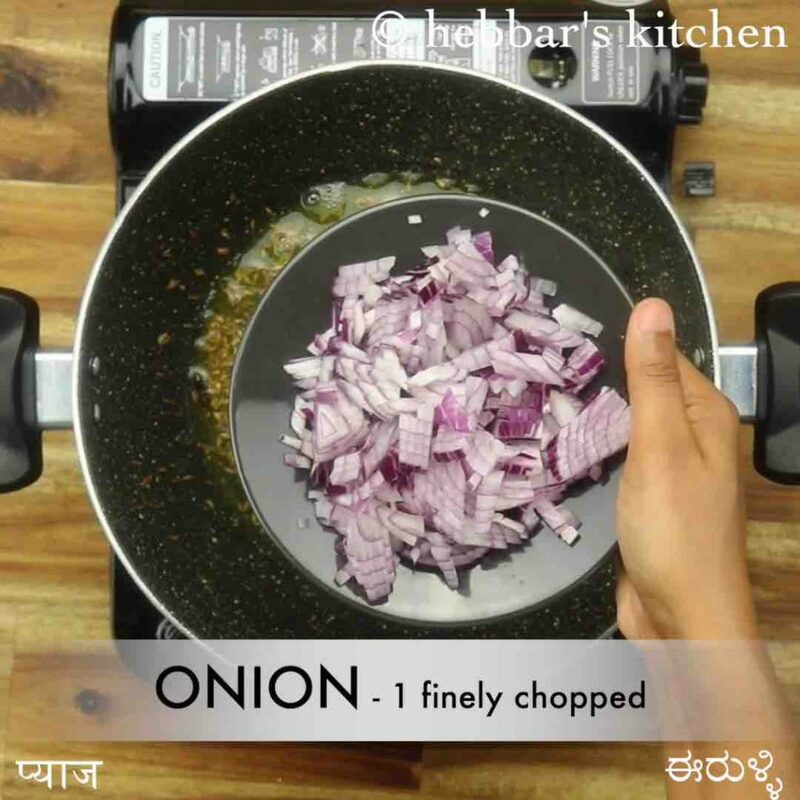 this step is not mandatory but gives a nice consistency to the curry. 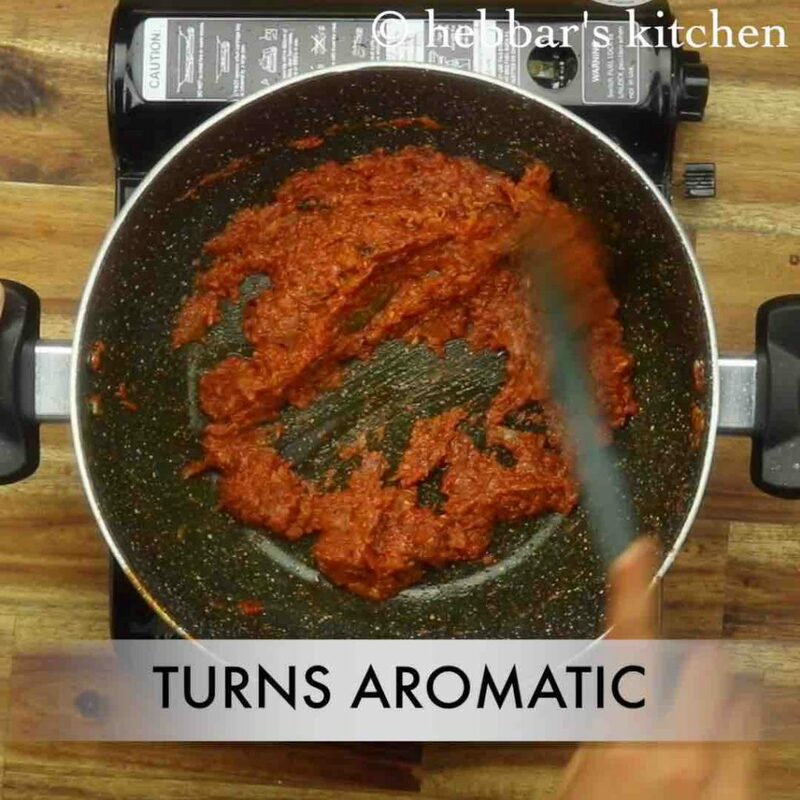 in a large kadai heat 1 tbsp ghee and saute 1 tsp cumin, 1 inch cinnamon and 5 cloves. add in 1 onion, 1 tsp ginger garlic paste, 1 chilli and saute until the onions turn golden brown. 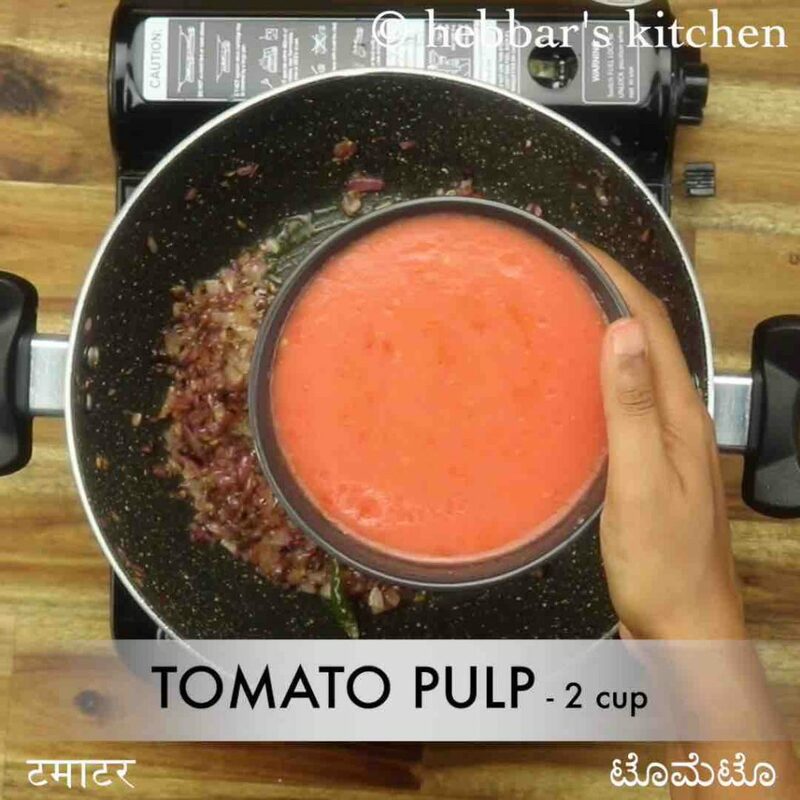 now add 2 cup tomato pulp. cover and cook for 10 minutes, or until the oil is separated. 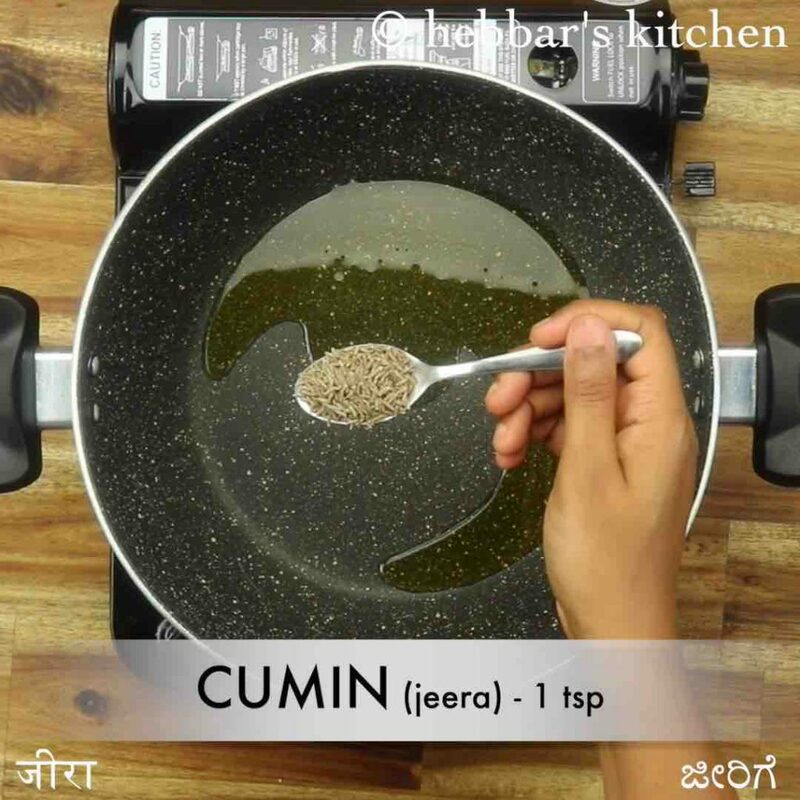 further keeping the flame on low add ¼ tsp turmeric, 1 tsp chilli powder, 1 tsp coriander powder, ½ tsp cumin powder, ½ tsp aamchur, ½ tsp garam masala and ½ tsp salt. saute until the spices turn aromatic. add in cooked rajma and mix well. 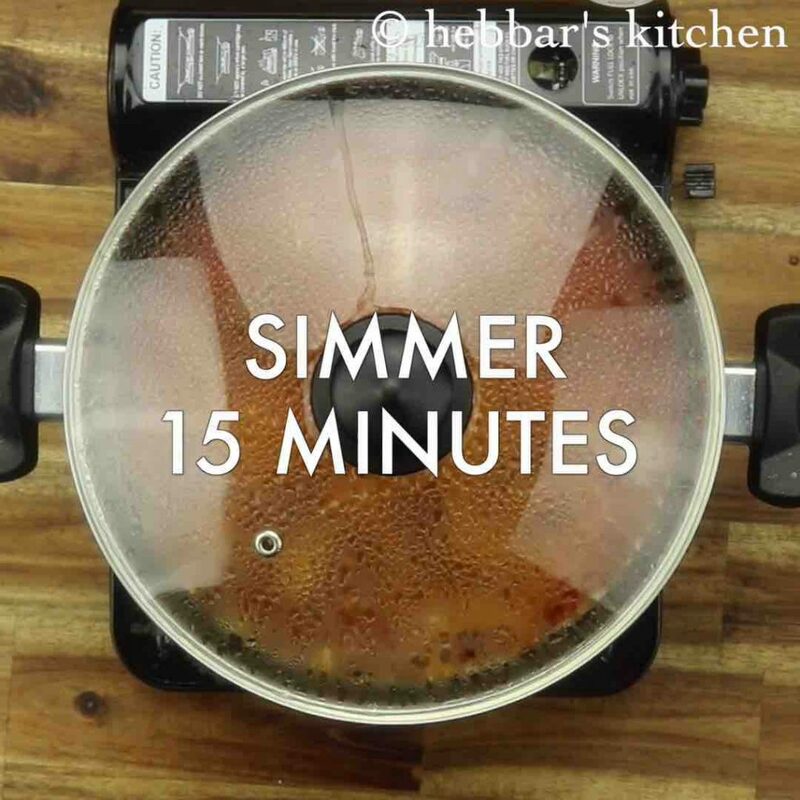 cover and simmer for 15 minutes or until the curry thickens. 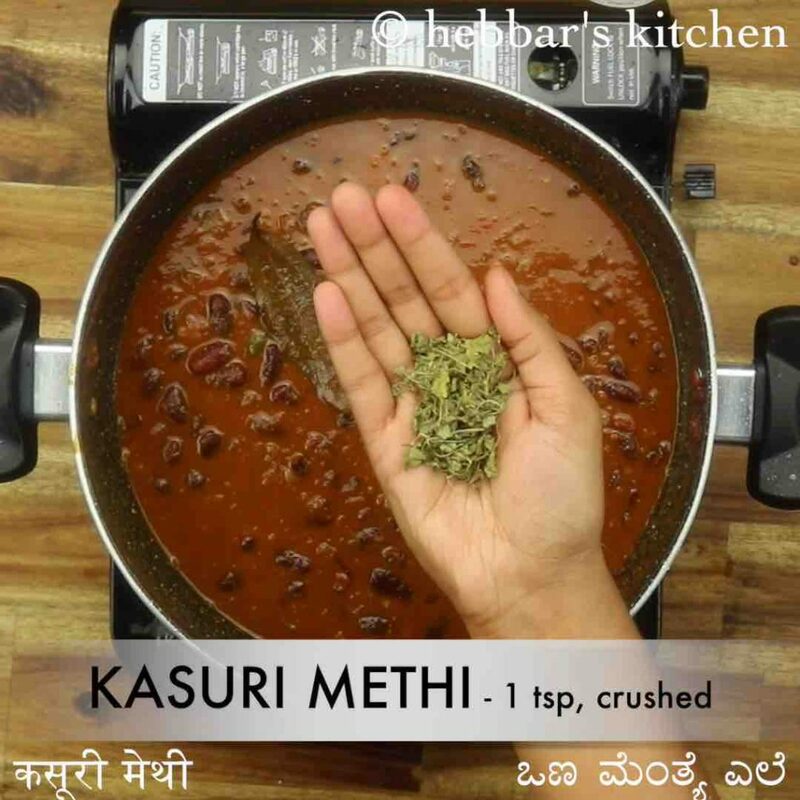 now add 1 tsp kasuri methi, 2 tbsp coriander and mix well. finally, enjoy rajma with hot jeera rice. 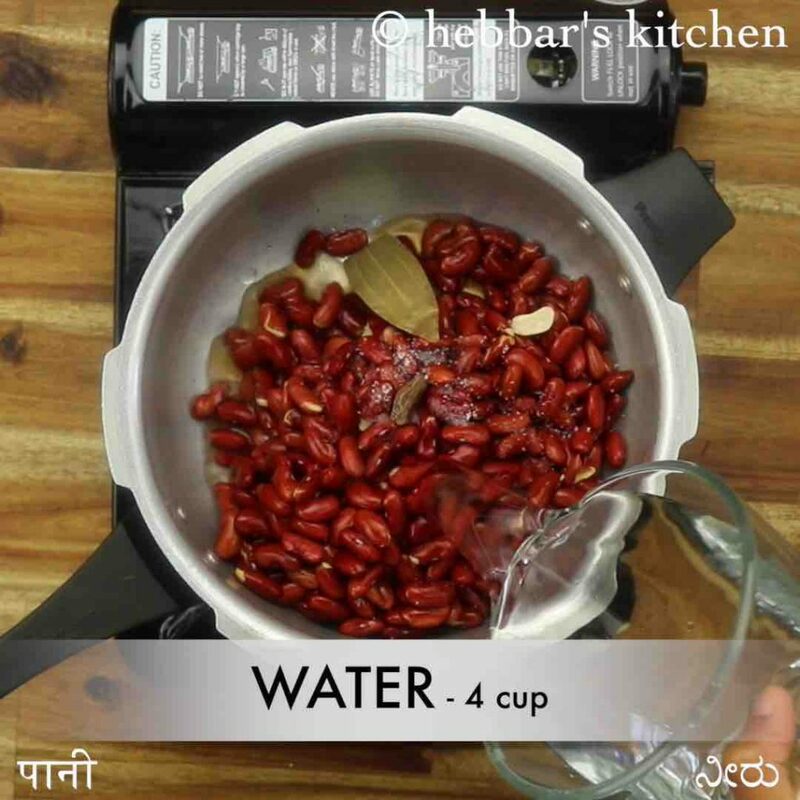 firstly, soak 1 cup rajma in enough water for 12 hours. 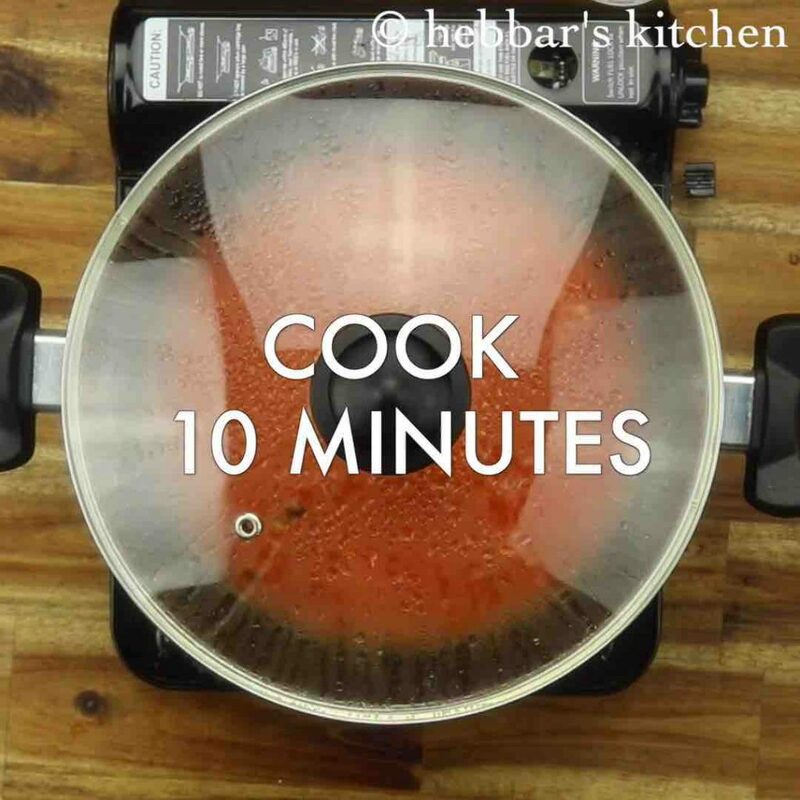 drain off the water and transfer to a pressure cooker. add 1 bay leaf, 1 black cardamom, 1 tsp salt and 4 cup water. 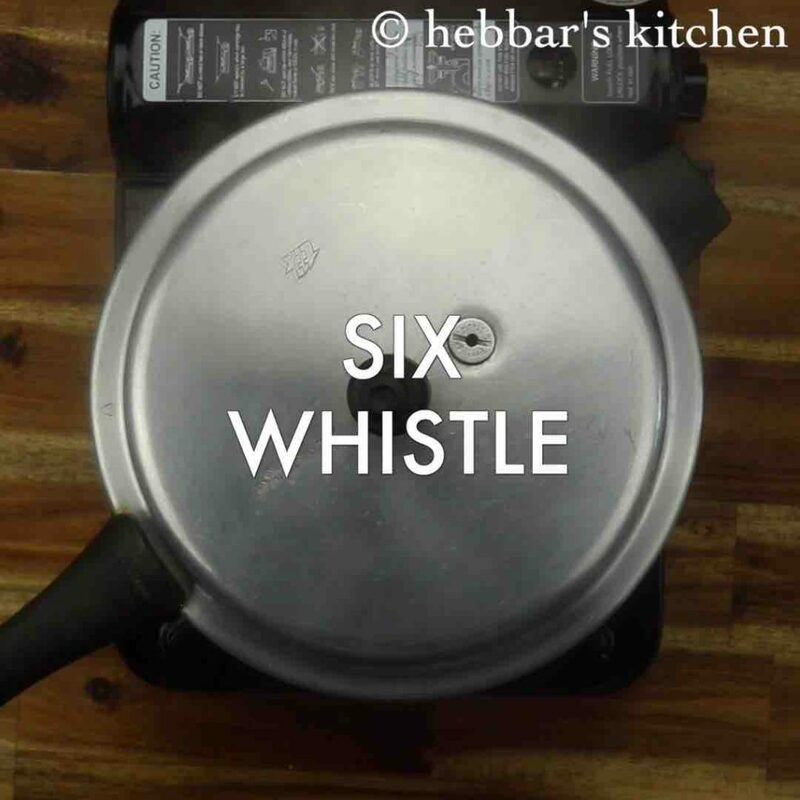 pressure cook for 6 whistles or until rajma turns soft. further, add 1 tsp ginger garlic paste, 1 chilli and saute until the onions turn golden brown. now add 2 cup tomato pulp. 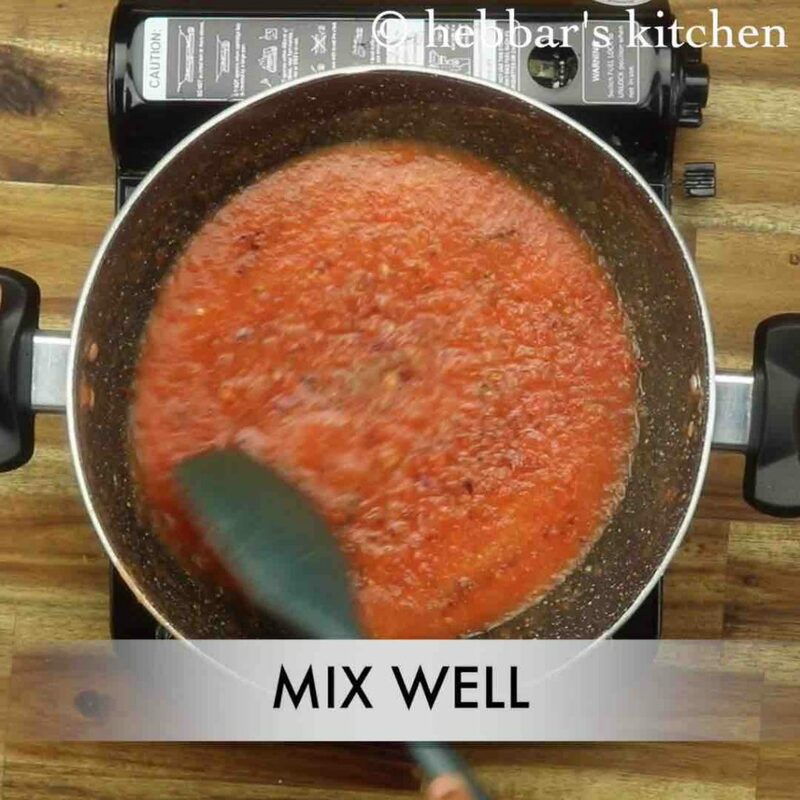 to prepare tomato pulp, blend 3 large tomatoes to a smooth puree. cover and cook for 10 minutes, or until the tomato pulp has thickened. 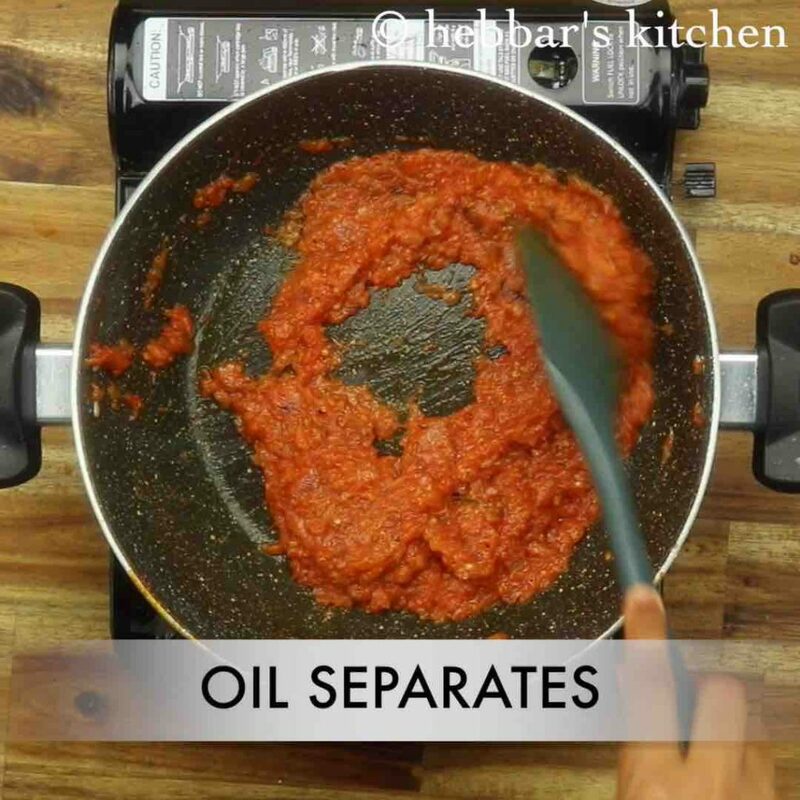 stir occasionally, and continue to cook until the oil is separated. 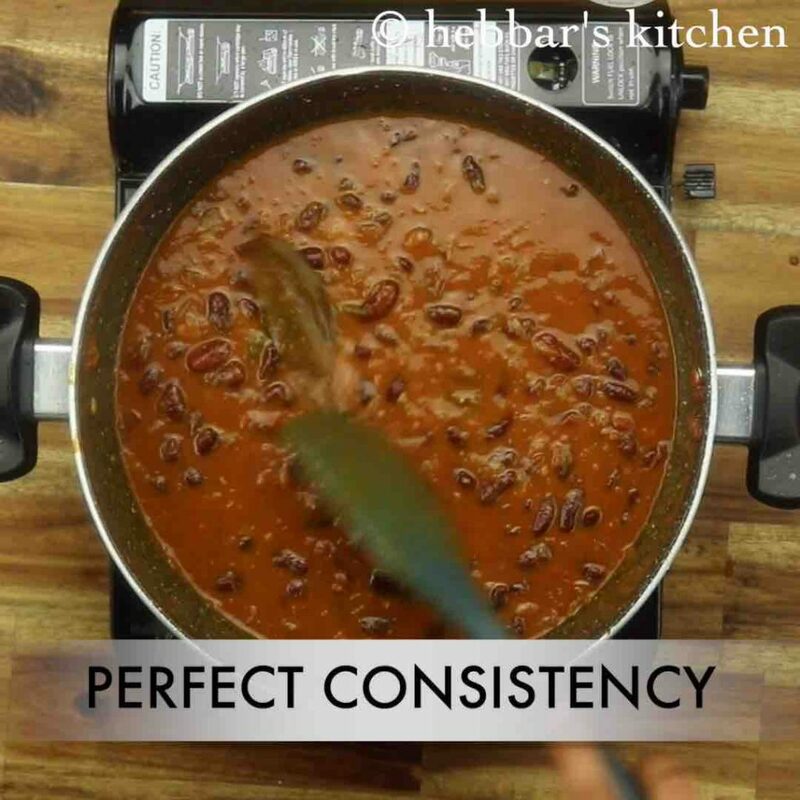 adjust the consistency by mashing few rajma if required. finally, enjoy rajma with hot jeera rice or as rajma chawal. 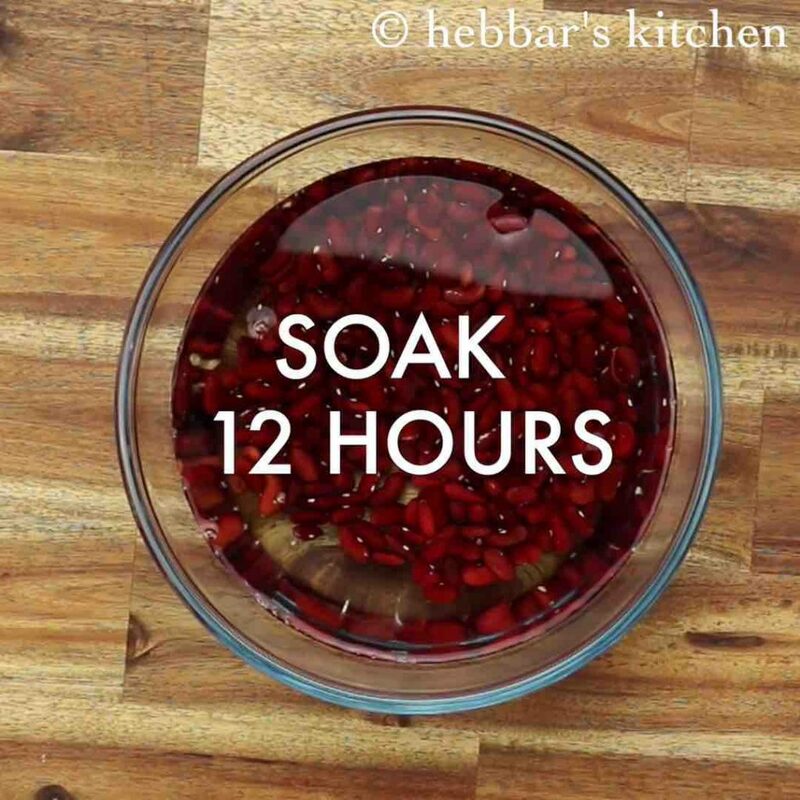 firstly, soak the rajma at least for 8 hours, or it will take a long time to cook. also, simmer the curry for at least 15 minutes to absorb all the flavours. 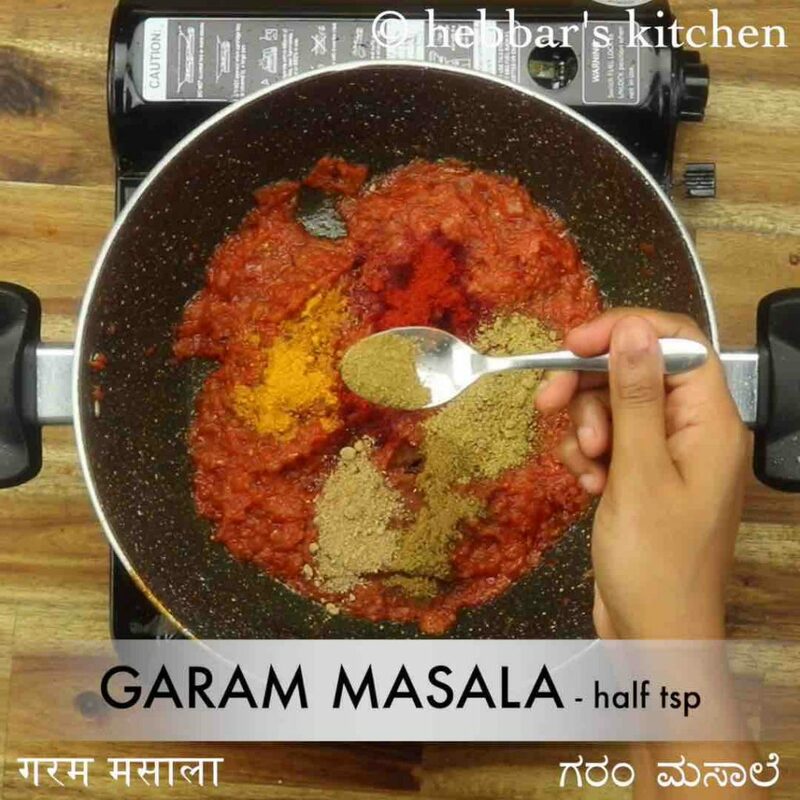 additionally, you can use store brought rajma masala instead of adding spice powders. 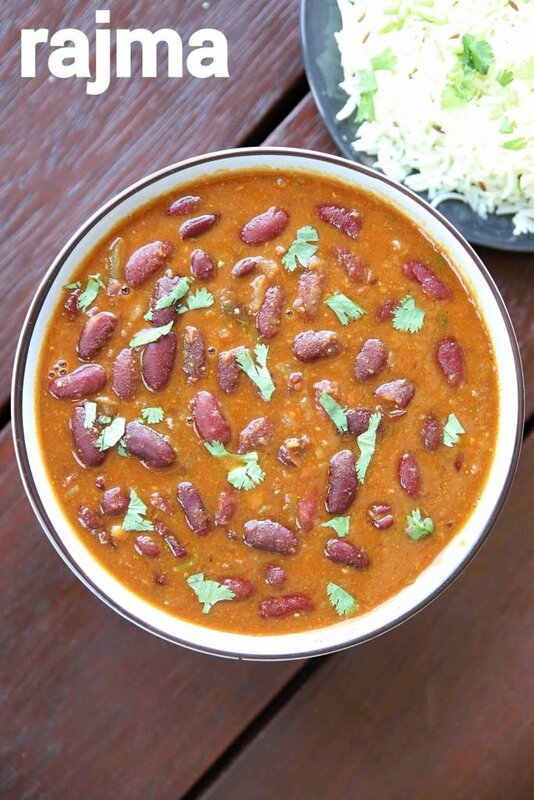 finally, rajma recipe tastes great when prepared slightly creamy.